The diner is where the guys meet for breakfast. Or lunch. Sometimes dinner. 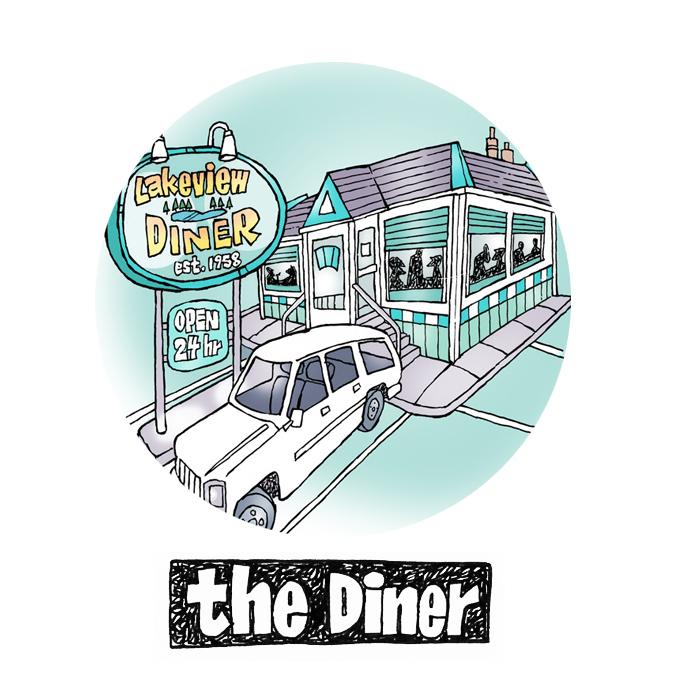 It’s called the Lakeview Diner, although there’s no lake and the only view is of the Jiffy Lube across the street. The Diner serves as their anchor, their safe place. This is where they meet to catch up, to argue, to commiserate. They laugh a lot too, mostly at each other. The food’s not bad either.